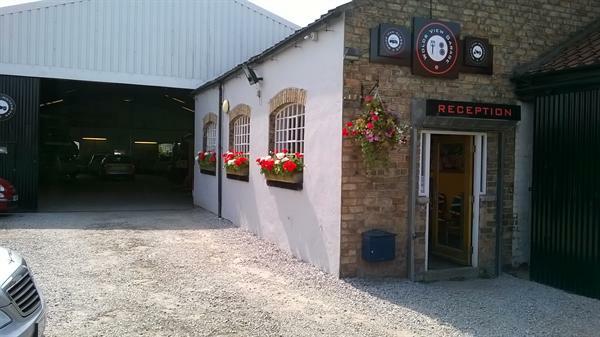 For 15 years we have been building up our reputation as a family run, honest and professional vehicle workshop/garage and a fully approved DVSA MOT test centre. We employ a number of technicians all having their own individual skills and interests which ensures that we can confidently work on vehicles that other garages may not want to undertake or have the time to work on. We are the only garage, workshop and MOT test centre located in Pocklington town centre which makes it easy to drop off your car and avoiding the inconvenience of getting to and from out-of-town garages or to York/Hull/Beverley main dealers. Our car park is quite small so please just leave your car wherever you see a space and we will park it up for you. Alternatively you could park on George Street and we will bring the car into the car park for you. 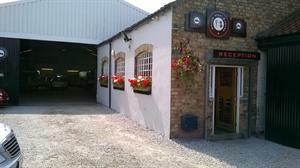 We have recently invested in a Classic Car workshop facility here in Pocklington. This workshop is dedicated to the restoration or general maintenance of Classic Vehicles. The Classics workshop is away from our main workshop so that these cherished cars can be worked on in peace and quiet away from the hustle and bustle of our normal days work. We are happy to take on large or small projects and will work close with the owner to ensure that the car is maintained to the highest standard that they expect. The garage owners have classic cars of their own so are fully aware of what's required to keep them in the best possible condition. We will travel to your location to see your classic vehicle and establish what is required to keep it in top condition. If it requires trailering back to our workshop then we can arrange this using our own equipment. Please call 01759 307770 and ask for Paul or James and they will be happy to discuss your requirements further. We have been MOT testing motorbikes for a couple of years now and due to local demand we have started to service and repair them as well. We have invested in various tools and equipment necessary to enable us to maintain your bike correctly and to ensure its safety. Please call Brook on 01759 307770 and he'll be happy to talk to you about your requirements. Alternatively, depending on your location Brook will visit you to discuss what is required. We are also very competitive on the supply and fitting of quality motorbike tyres - please call Brook and he will provide you with a quotation. We offer a free loan car service (please pre-book) or a free local collection from your home or workplace. There is also a bus stop right outside on George Street that has a regular bus service to York, Hull, Market Weighton, Beverley and Driffield. We are a DVSA fully approved MOT test centre for cars and motorbikes. Our MOT tests are £40 for cars, £55 for motorhomes and £25 for motorcycles. DVSA are duty bound to inspect us and have no concerns at all with the way we test vehicles and the results that we provide. If you wish to view us carrying out your MOT please ask and we happily accomodate you. We MOT, maintain and service a huge range of vehicles and motorbikes throughout Pocklington, Millington, York, Market Weighton, Wilberfoss, Fangfoss, Yapham, Barmby Moor, Bielby, North Dalton, Everingham, Bishop Wilton, Shiptonthorpe, Allerthorpe and all surrounding villages. Over the last 15 years we have built up a great reputation for customer loyalty and satisfaction. A vast majority of our customers are repeat customers who rely on us being in the town to maintain their cars and assist them when they have a problem with their cars, their friends cars or neighbours cars. We also have a customer care vehicle that is out and about on local roads assisting customers with faults such as faulty batteries, flat tyres, non starts etc. We offer a quality tyre, battery and exhaust fitting service at extremely competitive prices and have modern facilities for 3D wheel alignment/tracking on vehicles once the new tyres have been fitted. Please note that we offer budget, mid range and premium tyres and will fit the tyres to suit your budget and requirements. Please note, as an honest and trustworthy garage, we will not fit budget tyres and pass them off as quality tyres. Our technicians are trained to use a wide range of up-to-date computer diagnostics software packages and can read fault codes when they appear on your dash board. We can, while your vehicle is being MOT tested or serviced, reset vehicle service and MOT indicators FOC where applicable. If your car has an engine management light on the dashboard, for a diagnostics fee we can connect your car to one of our computers and let you know the reason why the engine light is indicating a fault. We employ local experienced technicians who between them, have a huge amount of experience in servicing, MOT Testing, vehicle repairs and general maintenance, clutch and gearbox replacements, engine rebuilds, computer diagnostics, brake servicing, tyres, exhausts and cam-belt replacements. We also try to ensure that each time you visit us the same technician works on your vehicle so that he can start to build up the history of your car and recheck any items while it is here. If you want a chat with a technician prior to your car coming here for any work then please do call and we'll happily answer any questions that you may have. We are aware that modern car engines require the correct oil grades and other lubricants so we ensure that we use the correct items for your vehicle at all times. We base every service on what is right for your car and it's engine. The engine oils that we purchase are premium grade not budget. Please note that proper services are quite time consuming nowadays and modern cars require all sorts of diagnostics to reset the computer. We do try to keep servicing costs to a minimum for customers but like anything - quality does come at a cost. If you request us to we will quote on the service prior to carrying out the work. We are proud to be a "Female Friendly Establishment"